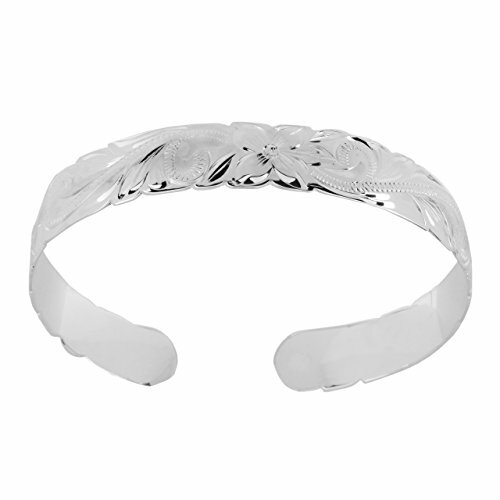 Beautiful sterling silver 10mm engraved Hawaiian Hibiscus cuff bracelet. Simple, yet elegant, this fashionable piece will make for a great gift for her. Check out our other listings for coordinating pieces! If you have any questions about this product by Hawaiian Silver Exchange, contact us by completing and submitting the form below. If you are looking for a specif part number, please include it with your message.